she did sing backup on several hymns performed on the radio. Carolina Cotton singing with the band! including CD Baby and iTunes. Check out a sample of the album in the video! NOW AVAILABLE AND READY FOR SHIPPING! 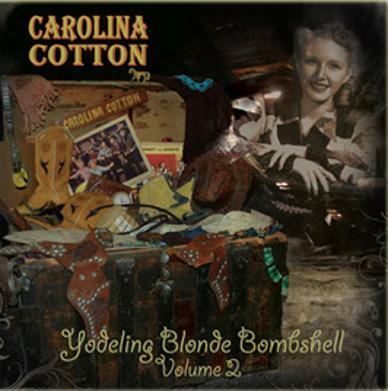 "Yodeling Blonde Bombshell Volume 2", the follow-up CD to Volume 1, features a new compilation of Carolina's favorites, rare tracks...and, of course, another full-length episode of "Carolina Cotton Calls", her own radio show! To hear song samples from Volume 2, see below. VOLUME 1 CD SOLD OUT! 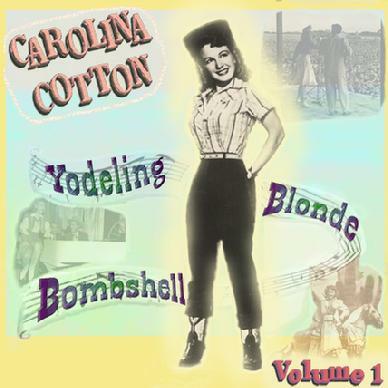 The first Carolina Cotton CD compilation, "Yodeling Blonde Bombshell Volume 1", is currently unavailable. But you can still get the album as an MP3 download through CD Baby. 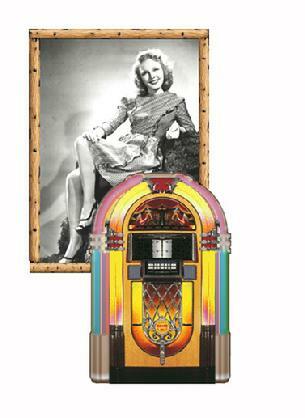 Both albums feature high-quality, fully restored recordings from the personal collection of Carolina and her family. Click on album to order online. Each Volume 2 CD is just $14.95, + shippping & handling. (Volume 1 is currently sold out). PLEASE NOTE: Online orders (debit & credit cards) are now handled through CD BABY.Com. Mail-in orders are still handled through us, at the same address. Complete details can be found by clicking the tab "Order Help". 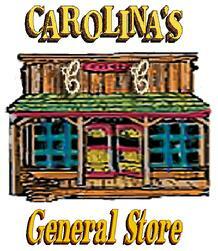 below, to enter Carolina's store, at: CD Baby.Com. CDs are sent via U.S. Postal Service. Within the U.S.: $5.00 (priority) for up to 4 CDs. Overseas: $5.00 First Class, $10.00 Priority (up to 4 CDs). (For orders of 5 or more CDs, please email for S&H costs). All packages will be shipped out within 1-3 days processing of your order. (Please allow a few days extra, when sending a check). 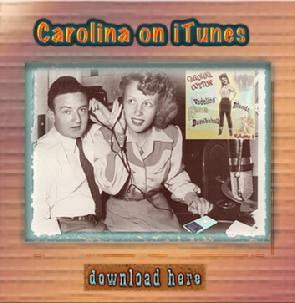 NEW: Download Carolina's songs on iTunes! 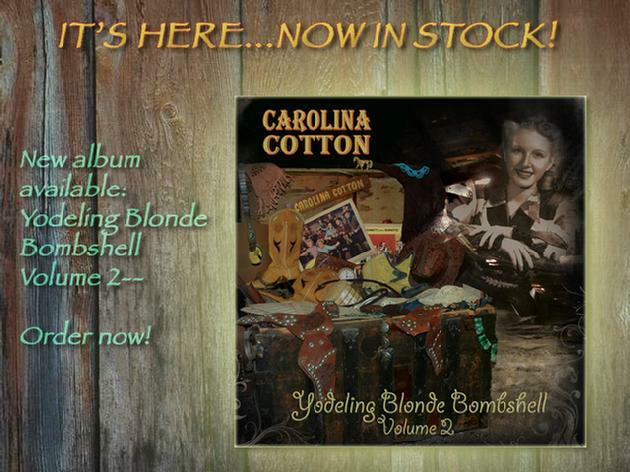 Now available...All songs from both Yodeling Blonde Bombshell albums, Volumes 1 and 2, to enjoy in your MP3 player! Any individual tune, or the entire albums. Only 99 cents per track, or $9.99 for the whole album. Just click on the poster on the right, and download from the Apple iTunes store.